How to make email signature with QR code? 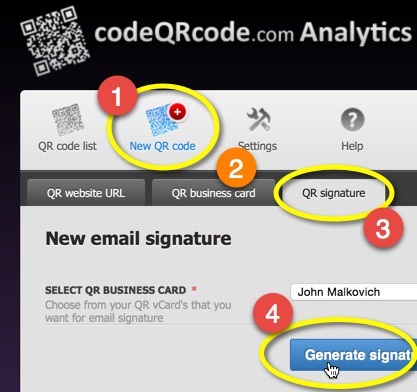 If you wonder how to make email signature with dynamic QR code, we are happy to announce new functionality for you! New mail signature feature is available for all accounts, including free accounts! Now it is simple to create HTML that you can paste to your favourite mail client. So, how to make you mail signature ? there you can preview or copy paste your brand new mail signature! 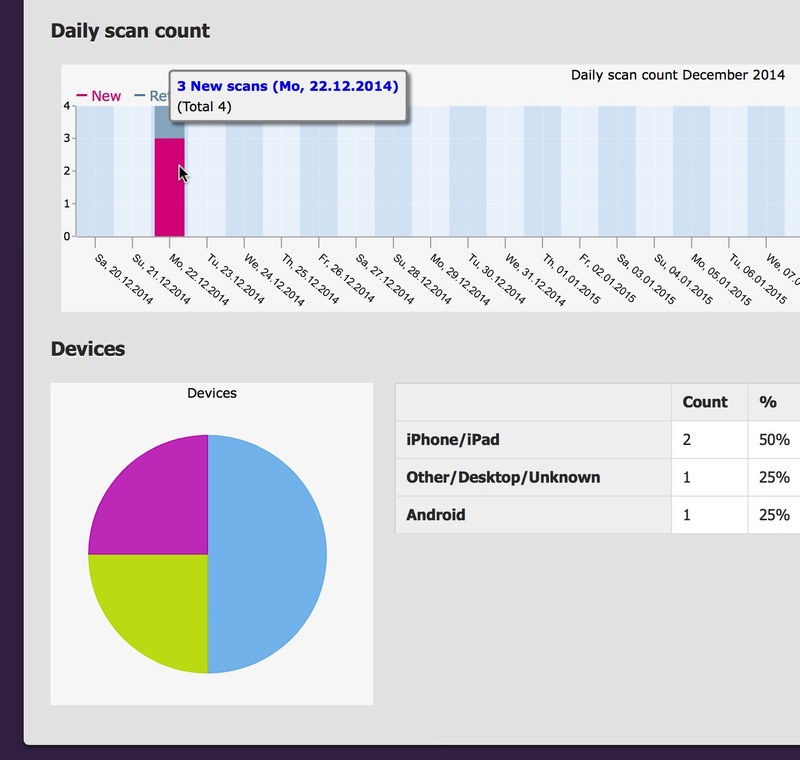 Later you can always monitor statistics, when and how many times is your QR code scanned, what devices are used, etc. When you or your associate scans QR code from you mail signature, he will be redirected to mobile landing page with all contact detail and option to save or save/send your vCard to his mobile phone/mail! Tip: If you create different QR code for mail client, mail phone, or business card you will know exactly where your contact data is more often scanned, and how frequent. Category Mail signature | Tags: contact data,email signature,share,vcard | Comments Off on How to make email signature with QR code?